Get some cultural insight at The Grand Palace and Wat Mahthat. You'll explore the less-touristy side of things at Ayuthaya Ruins and Chinatown - Bangkok. You'll find plenty of places to visit near Bangkok: Ayutthaya (Wat Chaiwattanarm & Ayutthaya Historical Park). There's much more to do: soothe aching muscles at some of the top local wellness centers, contemplate in the serene atmosphere at Temple of the Emerald Buddha (Wat Phra Kaew), take a stroll through Sukhumvit, and tour the pleasant surroundings at Lumpini Park. For photos, traveler tips, reviews, and tourist information, go to the Bangkok itinerary planner. Zurich, Switzerland to Bangkok is an approximately 15.5-hour flight. You'll lose 6 hours traveling from Zurich to Bangkok due to the time zone difference. Expect much hotter temperatures when traveling from Zurich in November; daily highs in Bangkok reach 39°C and lows reach 30°C. Finish up your sightseeing early on the 8th (Wed) so you can travel to Phnom Penh. Start off your visit on the 9th (Thu): steep yourself in history at Choeung Ek Genocidal Center / Killing Field, then appreciate the history behind Independence Monument, then steep yourself in history at Royal Palace, and finally stop by Confirel. 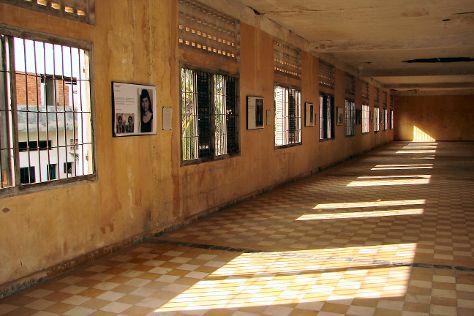 Here are some ideas for day two: see the interesting displays at National Museum, soothe aching muscles at some of the top local wellness centers, and then get engrossed in the history at Tuol Sleng Genocide Museum. To find other places to visit, more things to do, ratings, and more tourist information, use the Phnom Penh itinerary maker. Getting from Bangkok to Phnom Penh by combination of train and flight takes about 2 hours. Other options: drive; or drive. In November in Phnom Penh, expect temperatures between 38°C during the day and 30°C at night. 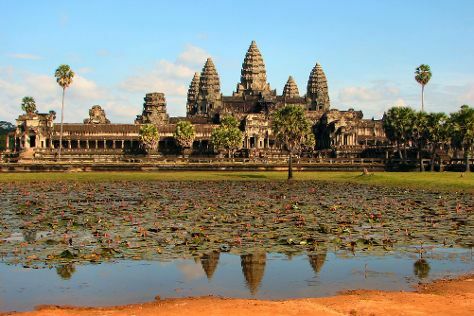 Finish your sightseeing early on the 11th (Sat) to allow enough time to travel to Siem Reap. You'll explore the less-touristy side of things at Preah Khan and Baphuon Temple. Do some cultural sightseeing at Bayon Temple and Angkor Wat. There's still lots to do: explore the ancient world of Ta Prohm, take in the spiritual surroundings of Banteay Srei, contemplate the long history of Angkor Thom, and relax and rejuvenate at some of the top local wellness centers. To see reviews, more things to do, traveler tips, and tourist information, read our Siem Reap trip itinerary maker. Getting from Phnom Penh to Siem Reap by combination of flight and taxi takes about 2.5 hours. Other options: drive; or drive. Expect a daytime high around 37°C in November, and nighttime lows around 29°C. Cap off your sightseeing on the 18th (Sat) early enough to travel to Luang Prabang. Eschew the tourist crowds and head to Mount Phousi and Old Quarter Luang Prabang. Satisfy your inner culture vulture at Royal Palace Museum and Traditional Arts and Ethnology Centre. Next up on the itinerary: admire the landmark architecture of Golden City Temple (Wat Xieng Thong), look for gifts at Ock Pop Tok Living Crafts Centre, admire the sheer force of Tad Sae Waterfall, and hunt for treasures at Luang Prabang Night Market. To see reviews, where to stay, photos, and more tourist information, read our Luang Prabang online itinerary creator. Traveling by combination of taxi and flight from Siem Reap to Luang Prabang takes 3 hours. Alternatively, you can drive; or take a bus. Traveling from Siem Reap in November, you can expect nighttime temperatures to be slightly colder in Luang Prabang, with lows of 23°C. Wrap up your sightseeing on the 23rd (Thu) early enough to travel to Chiang Mai. Satisfy your inner culture vulture at Art in Paradise, Chiang Mai 3D Art Museum and Wat Phra That Doi Kham (Temple of the Golden Mountain). Deepen your sense of the past at sights like Wat Chedi Luang Worawihan and Wat Suan Dok. Change things up with these side-trips from Chiang Mai: Umbrella Village - Bor Sang (in Bo Sang) and Doi Inthanon (in Doi Inthanon National Park). On the 25th (Sat), enjoy an adventurous day among the treetops at some of the top local zipline courses and adventure parks. Spend the 28th (Tue) wandering through the wild on a nature and wildlife tour. And it doesn't end there: relax and rejuvenate at some of the top local wellness centers, make a trip to Tha Phae Gate, browse the eclectic array of goods at Sunday Night Market Walking Street - Tha Pae Gate, and take in the spiritual surroundings of Wat Phra Singh. For maps, other places to visit, more things to do, and tourist information, go to the Chiang Mai trip builder. Getting from Luang Prabang to Chiang Mai by flight takes about 1.5 hours. Other options: drive; or take a bus. In November in Chiang Mai, expect temperatures between 37°C during the day and 24°C at night. Wrap up your sightseeing on the 30th (Thu) early enough to travel to Seoul. 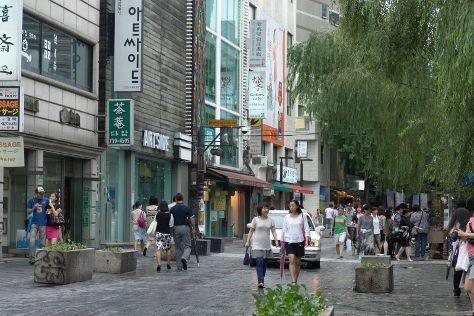 Do some cultural sightseeing at Insadong and Bukchon. You'll explore the less-touristy side of things at Cheonggyecheon Stream and Food Tours. And it doesn't end there: steep yourself in history at Gyeongbokgung Palace, explore the historical opulence of Changdeokgung Palace, get a taste of the local shopping with Myeongdong Shopping Street, and take some stellar pictures from N Seoul Tower. For photos, other places to visit, where to stay, and more tourist information, you can read our Seoul itinerary builder. Getting from Chiang Mai to Seoul by flight takes about 6.5 hours. Other options: take a train. The time zone changes from Indochina Time to Korea Standard Time, which is usually a 2 hour difference. In November, Seoul is much colder than Chiang Mai - with highs of 13°C and lows of 3°C. Finish your sightseeing early on the 5th (Tue) to allow enough time to travel to Singapore. Visit Changi Beach and Emerald Hill for their historical value. Chinatown and Arab Street are good opportunities to explore the local culture. Next up on the itinerary: wander the streets of Little India, go for a stroll along the water at Marina Bay, take in nature's colorful creations at Singapore Botanic Gardens, and kick back and relax at Siloso Beach. To see reviews, other places to visit, traveler tips, and tourist information, go to the Singapore itinerary builder. Traveling by flight from Seoul to Singapore takes 10 hours. You'll gain 1 hour traveling from Seoul to Singapore due to the time zone difference. Traveling from Seoul in December, things will get much warmer in Singapore: highs are around 36°C and lows about 29°C. Wrap up your sightseeing by early afternoon on the 13th (Wed) to allow enough time to travel back home.